We have cut a hole in the top of the furniture! 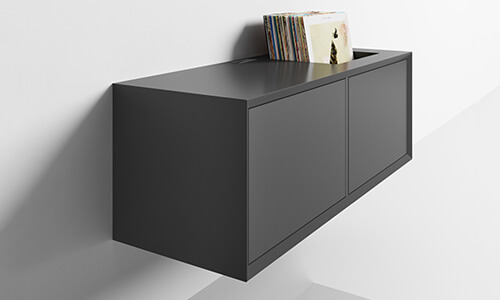 But for a good reason – so you can store your favourite vinyls. 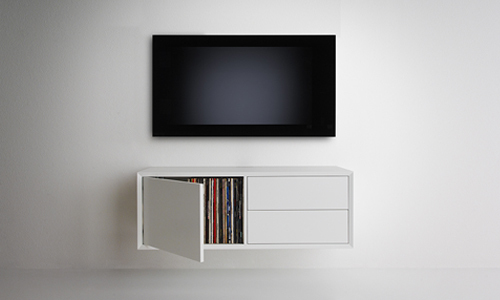 With a clic vinyl hole (registered design) it is easy to flip through your best selection. 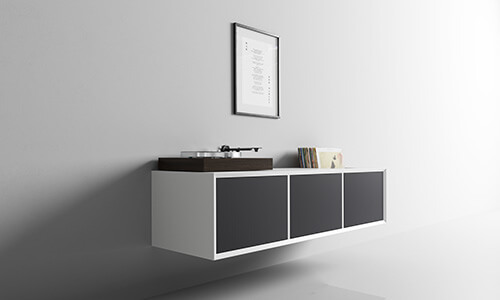 If you have a large vinyl collection you can also choose to store them in a more regular way inside the clic furniture. On both sides of the hole we have placed aluminium angles to protect the furniture. The vinyls is set on a non-slip rubber mat. 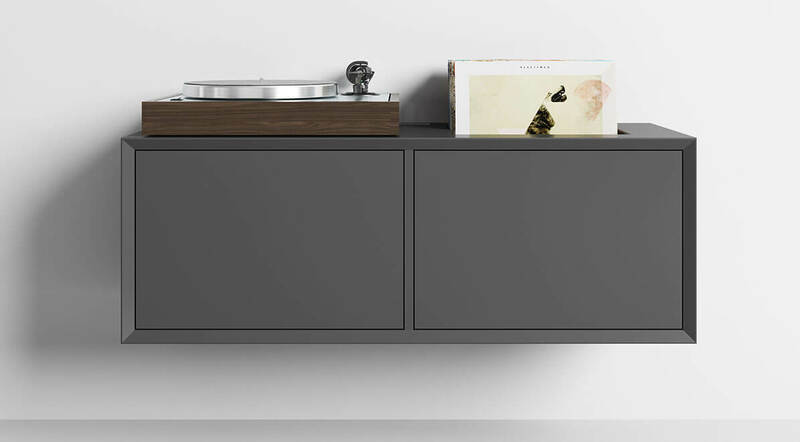 If you order the vinyl hole in a clic furniture with a shelf you can adjust the height of the shelf and decide how much of your vinyls you want to display. Depending on the placement of the shelf you will have space underneath it for other products. On the photo above you see a model 220-2 i grey with a vinyl hole above the right room. The furniture have 2 grey wood doors in front. That could also be fabric doors. Your choice. Alternatively you can have one room open. 220, 221, 222, Desktop and all S models. 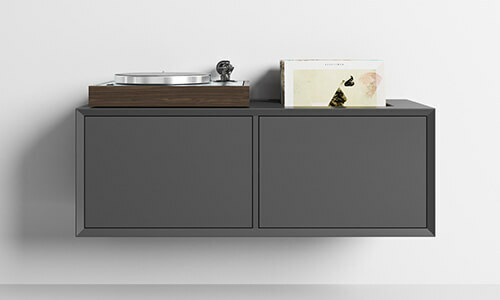 You can store about 60 vinyls in a 37,5 cm deep furniture. About 80 in a 45,5 cm deep furniture and about 90 in a 55 cm deep furniture.